Stacy and graduate student, Nandan, attended the 23rd International Symposium on HCV and Related Viruses in Kyoto, Japan. Here they are hanging out with the meeting mascot, Yuru-Chara (yes, that’s a liver….)! Low quality lab selfie of a high quality lab! Cheers-ing cupcakes and beverages to submitted publications, funded grants and our 3rd lab birthday! Got to hang out with Wool E. Bull at our second annual lab 5k!! The Horner Lab had a great time attending the American Society for Virology conference this year in Blacksburg, VA. Three graduate students and one post-doc presented their work and we heard lots of exciting science [so much fun we forgot to take a lab selfie]! See you next year in Madison. Celebrating a successful first half of 2016 - new lab members, new grants and new publications! Cheers! Hello from the Horner Lab in 2016! The Horner Lab welcomes our 4th graduate student, Mike McFadden! The Horner Lab welcomes our new lab manager, Jason Willer! Happy Holidays from the Horner Lab! Here is a picture of us at the MGM department holiday party. Today was our lab manager, Mouna's, last day. Best wishes in San Diego, CA! 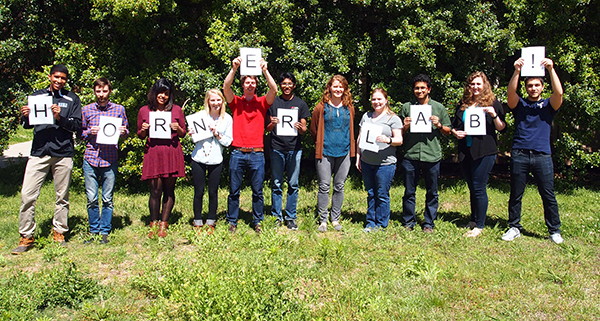 Happy second birthday to the Horner Lab! Congratulations to PhD Candidate, Christine, for passing her prelim!! The Horner Lab had their first research paper accepted today. Congrats to co-first authors, Mouna and Allison, on their paper in Journal of Virology! Our lab technician Matt worked his last day in lab today! Wishing him luck at his new job and with grad school applications! Horner Lab getting their physical fitness/community service on at the Bull Moon Ride & Run for Habitat! Stacy and Christine attended the American Society for Virology conference this year in London, Ontario. Picture here with Dr. Helene Liu from National Taiwan University. Christine gave her first conference talk and did an awesome job! 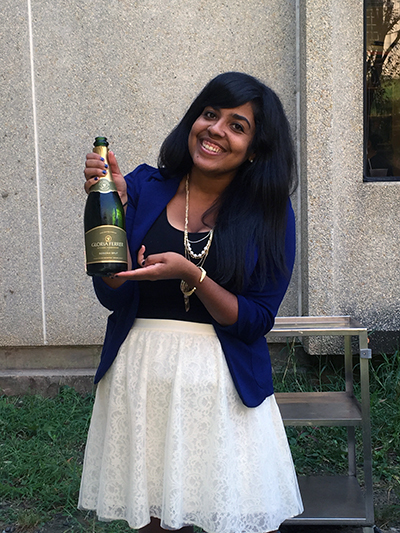 Congratulations to Nandan Gokhale, PhD Candidate! Congratulations to Allison for passing her preliminary exam and becoming the Horner Lab's first PhD Candidate! Duke University Men's Basketball is the 2015 NCAA National Champion!